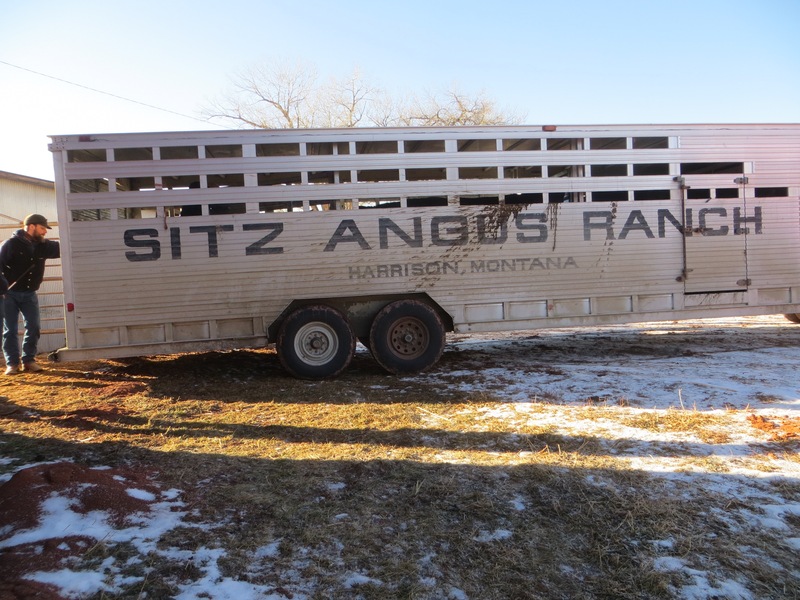 While I’ve been in Christmas mode, for myself and the library, the guys attended the Sitz Angus Bull Sale up in Montana. Today, the new bulls were delivered. 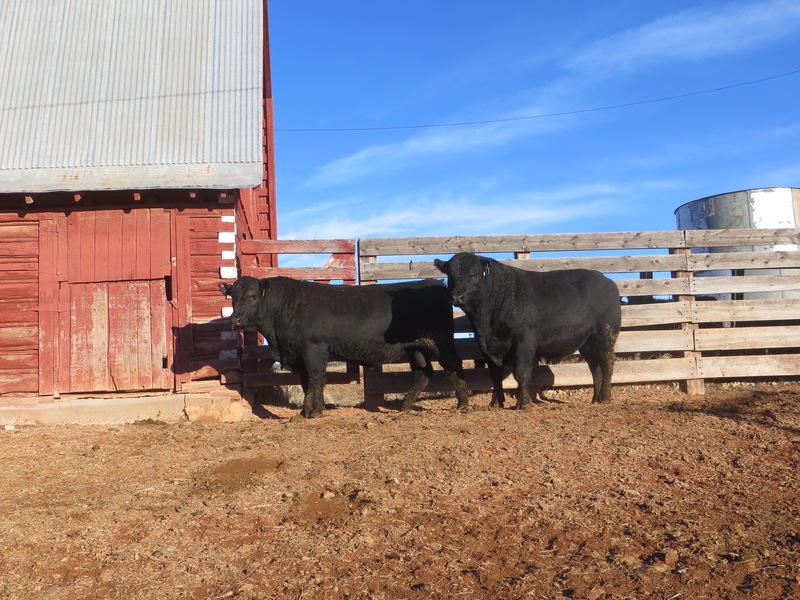 They are four very nice looking bulls. Looking over our purchases. There was a long conversation full of “bull lingo”… a list of phrases that sounds like gobbledygook to anyone not versed in it! 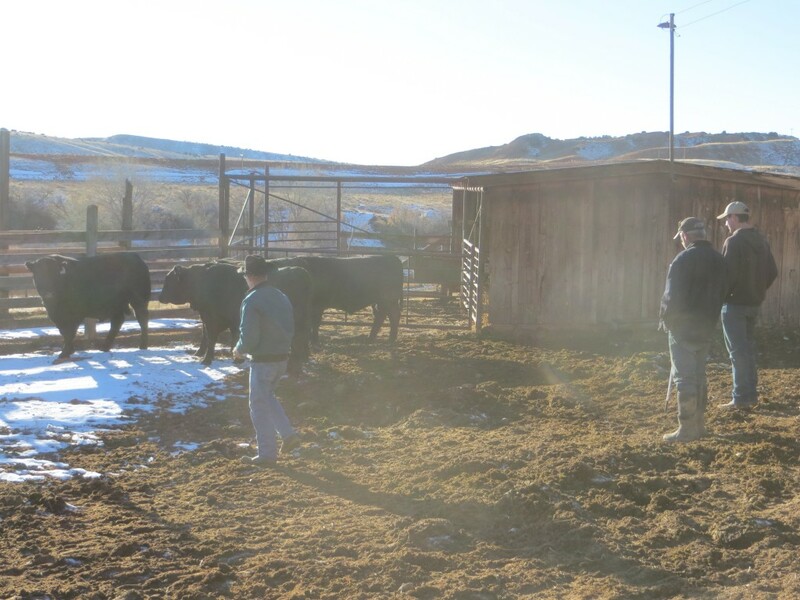 All I know is, each guy had his favorite, and it was a separate bull for each of them! They are NICE looking fellas! Oh yes they sure are, how handsome and big they are too. They kind’a look the same to me lol. But they surely are amazing animals!! Thank u for a little more of WY red dirt.. I love it. Last picture of the bulls, I like the guy on the right…! Curious who else in your family agrees?